It is important to keep the reverberation time low to prevent sound energy build up and distractions between class bases. 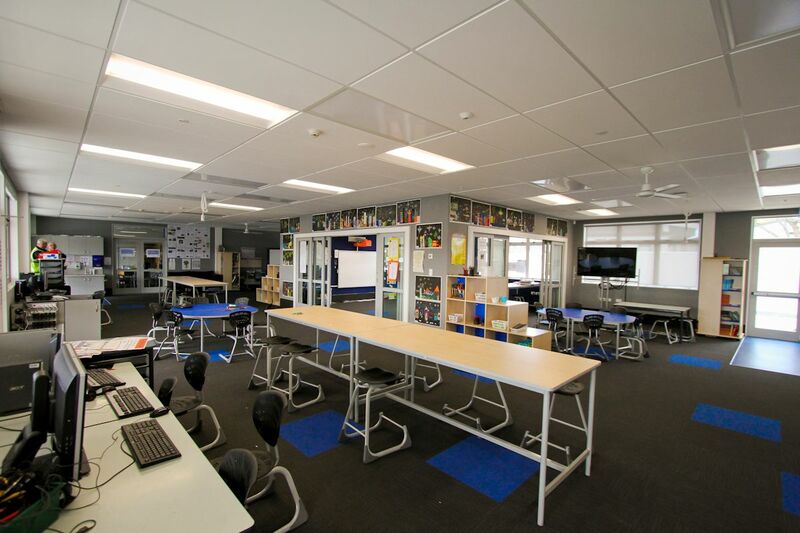 In open plan classrooms, the control of reverberant noise from adjacent class bases is of critical importance. The optimum Background Noise level is a compromise between providing sufficient masking noise for speech privacy, whilst not increasing the intrusive noise level significantly. From 2014-2015, 75% of the school buildings including the administration offices, staff room, library, e-learning room, seven classroom spaces, and the school hall, were demolished due to water tightness issues. A new Modern Learning Environment has been established, featuring a twelve classroom space building, plus offices and library.